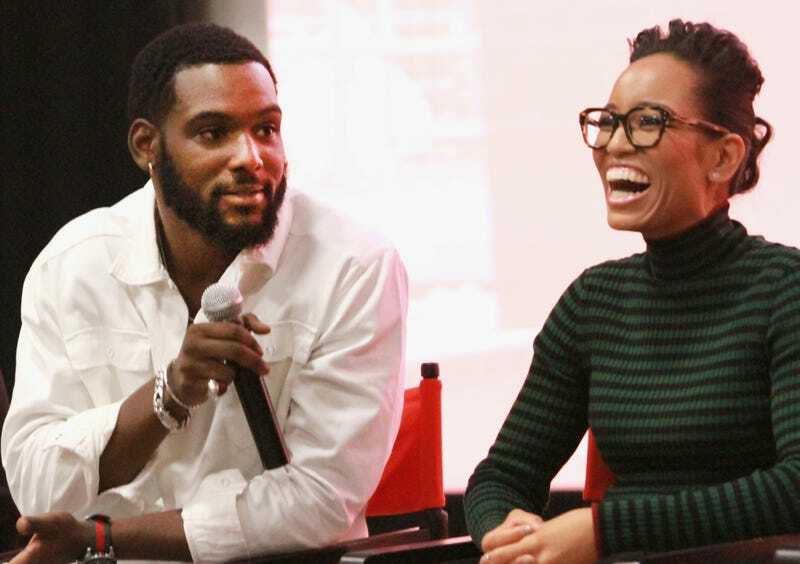 Queen Sugar Cast Panel Discussion with (L-to-R) Kofi Siriboe and Dawn-Lyen Gardner at the 21st Annual Film festival on September 23, 2017 in New York City. [Urbanworld] is one of the largest internationally competitive festivals of its kind. Each year, we curate a slate of films representing the broadest lens of diversity across stories, characters, themes, and cultures. We fight tirelessly to expand the definition of “urban” beyond ethnicity to include sensibility, culture, and proximity. Featuring 77 films this year—including the highly anticipated Widows, Night School, Smallfoot and The Hate U Give, Urbanworld, in conjunction with founding partner HBO, continues to bring diverse stories to an equally diverse audience over a five-day festival, taking place this year in New York City between Sept. 19-23. [P]eople were sending me films that weren’t in other festivals, and I thought these films needed to be seen. They weren’t showing anyplace else, and I thought we should have our own festival. ... We create an opportunity for exposure. We hold up the best of black films and that showcase gives them an opportunity to go on elsewhere to do great things. That is our purpose. Supporting this narrative, homegrown to big screen talents Ava DuVernay, Kevin Hart, Tiffany Haddish, Adepero Oduye, Amandla Stenberg, Kenya Barris and many more will be in attendance this year, as Urbanworld continues to make its impact on the film industry. This year will also celebrate the 30th(!) anniversary of Coming to America with a special screening on Friday, Sept. 21. Tickets are still available; just visit urbanworld.com to purchase passes.